PADI Members from all over the world work hard each and every day to spread their love of diving. Through sharing our passion we’re able to encourage more people to discover and continue diving the ocean planet. Dedicated marketing specialists in each PADI office around the globe execute marketing strategies to promote the life-changing opportunities and adventure diving offers, as well as showcasing just how easy it is to get started. Specifically, the PADI team execute marketing strategies involving email marketing, events, social media and online advertising, just to name a few. However together, the hard work of the PADI family, professional members, dive centers and resorts has all helped us reach record-breaking success in 2018. More than 6,600 PADI dive shops and 135,000 PADI Professionals. Introduced numerous digital products and language offerings. What else was accomplished in 2018? Check out our quick 2018 Brand Highlights video below. With these amazing results, it’s no surprise that PADI completed 2018 as their strongest year to date. Thanks to the dedication of passionate members across the globe, PADI now dives into 2019 with unprecedented momentum. 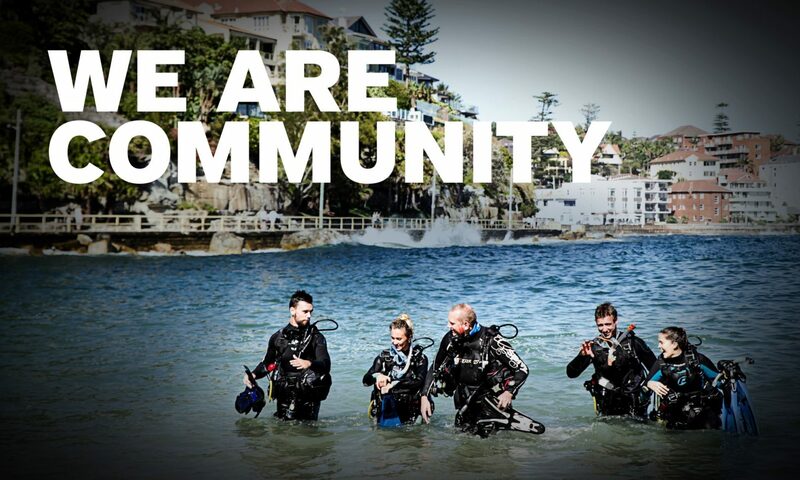 For more information on the marketing undertaken by PADI contact marketing@padi.com.au or your PADI Regional Manager. For the 20th consecutive year, PADI has been awarded the prestigious TAUCHEN Award for Best Diver Training Organisation. The TAUCHEN Awards are often referred to as the ‘Oscars of the Dive Industry’ and each year the highly popular German diving magazine, which focuses on dive travel, equipment and industry news, invites its readers to vote for their preferences in 17 different industry categories. PADI has been the unwavering favourite diver training organisation, taking home the coveted bronze dolphin statuette for the Best Diver Training Organisation every year, since the award’s inception. This award is a tribute to the excellence of PADI Members around the world and the quality training they deliver every day. This year the awards were presented on 25th January, 2018, in conjunction with the BOOT Trade Show in Düsseldorf, Germany. – Mark Spiers, Vice President of Training, Sales and Field Services for PADI Europe, Middle East and Africa. Where has the year gone? With only a couple of weeks left in 2017, the days remaining for you to achieve your 2017 PADI Elite Instructor Award are getting fewer. What is the Elite Instructor Award? The Elite Instructor Award distinguishes PADI Professionals by highlighting their experience as PADI Members and gives a means to promote the elite status to student divers, potential students, prospective employers and others. Top certifying PADI Instructors receive the Elite Instructor Award for issuing 50, 100, 150, 200 or more than 300 certifications in 2017. They’ll also receive an acknowledgement letter and recognition certificate (signed by PADI President and Chief Executive Officer Dr. Drew Richardson), a decal to add to their instructor card, and an e-badge to use on emails, websites, blogs and social media pages. For more information, including qualifying certifications, visit the PADI Elite Instructor Award page on the PADI Pros Site. To see your current certifications count, view your Students Count Report. We will be announcing the award recipients in early 2018. For the 19th consecutive year, PADI has been awarded the prestigious TAUCHEN Award for Best Diver Training Organisation. The popular German-language magazine, which focuses on topics of interest to European divers including dive travel, equipment and industry news, asks readers to annually select their preferences in 17 different industry categories. PADI has been the enduring favourite, taking home the coveted bronze statuette for the Best Diver Training Organisation every year since its inception. PADI Members have plenty to celebrate, because the TAUCHEN Awards are often referred to as the ‘Oscars of the Dive Industry.’ This year, the awards were presented on 27 January, 2017 at the Düsseldorf Night Residency in conjunction with the BOOT Trade Show in Düsseldorf, Germany. Congratulations Dive Centre Ltd – 30 years as a PADI Dive Shop. Only one dive centre can say that they are New Zealand’s longest standing dive shop, and it is Dive Centre Ltd, run by the Kidd Family since 1972. Recently, they also celebrated 30 years as a PADI Dive Centre. It was Guy’s background as an ex-operational dive team member of the Royal NZ Navy that prompted him and his wife Margaret to open Dive Centre Ltd to offer dive equipment to the public. Since their humble beginnings, Dive Centre Ltd has grown to be a PADI 5 Star IDC Centre, a TecRec Centre, IANZ Testing Station and an Aqualung Partner Centre. So what’s his advice for running a successful dive shop like Dive Centre Ltd? Congratulations to Malcom, Margaret and Guy, and of course the entire team at Dive Centre Ltd for the huge achievement that is 30 years as a PADI Dive shop and 45 years in the diving industry. Congratulations to Henrik Nimb, representative on the Project AWARE Foundation Board of Directors, for his 35 years of PADI Membership achievement award. Henrik was presented the award by PADI Asia Pacific Vice Presidents Danny Dwyer (Left) and Matthew Hill (Right) on a recent visit to the PADI Asia Pacific Regional Headquarters. We thank Henrik for his long serving dedication and hard work in flying the PADI and Project AWARE flags.